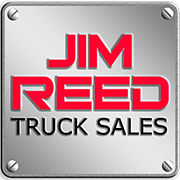 Jim Reed Truck Sales is a NationaLease Franchise serving New York and the outlying region. With over 900 NationaLease branches throughout the U.S.A., your lease or rental will be supported at every turn of the road. One of the largest full service truck leasing organizations in North America, NationaLease is comprised of more than 150 independent businesses. We have more than 900 locations throughout the U.S. and Canada, with a combined customer fleet of over 155,000 tractors, trucks and trailers. Our strength lies in providing customers with extraordinarily quick and flexible personal service that is flexible for every requirement. For over 70 years, we have connected customers with business owners dedicated to providing customized solutions.